I’ve been reading this book for almost three years and it feels so good to finally have finished it! I'm going for a 3.5 stars. I must be the only person in the known world that hasn't 5 starred Poe. I figured I would be a 5 star. 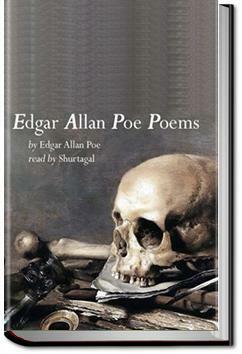 I was never exposed to Poe in my schooldays, but I later became aware of his reputation. I didn’t know anything about his writing, except that I expected it to be a kind of guilty pleasure. "Tis some visitor," I muttered, "tapping at my chamber door - only this, and nothing more."